The Second Judicial District Commission on Judicial Performance, on a vote of 10-0, recommends that Judge Elizabeth D. Leith BE RETAINED. The Governor appointed Judge Leith to the Denver Probate Court in July 2011. Prior to her appointment, Judge Leith served as a domestic court magistrate judge in Denver District Court. Before taking to the bench, Judge Leith served as an Assistant City Attorney for Denver in the Human Services Section; as a Deputy District Attorney for the 4th Judicial District in the Child Enforcement Unit; and as a private practice attorney. Judge Leith earned her undergraduate degree from Metropolitan State College of Denver in 1982 and her law degree from the University of Denver Sturm College of Law in 1988. In addition to her successful efforts to improve the operations of the Probate court, Judge Leith engages in community service through her church. 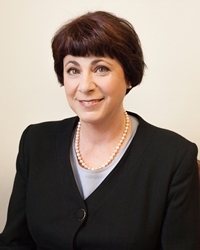 Judge Leith also participates in community service directed toward improving the law, including service on the Child Support Commission, chairing the Probate Advisory Committee, and serving on subcommittees for the Civil Commitment Review Task Force and the Standing Committee on Family Law, and the Administrative Management Advisory Council. During the current term, Judge Leith presided over the probate court. Written comments with the survey results offer further support for the Commission’s recommendation to retain Judge Leith. Attorneys described her as courteous, respectful, fair, even-handed, “thoroughly prepared,” and as having “excellent judicial demeanor, work ethic, and substantive knowledge of the case and of the applicable law.” Non-attorneys were similarly enthusiastic about Judge Leith’s performance, describing her as “a true credit to the Colorado legal system” because she is “dedicated to fairness, incorporates a deep compassion for all parties that appear in her courtroom, and applies legal standards in an even-handed, consistent manner.” Moreover, non-attorneys describe her case management skills as “impeccable” and state that “it would be an injustice to the people of Denver County for her not to be retained as Judge.” Commissioner observations of Judge Leith’s courtroom were completely consistent with the survey responses. Reviews of Judge Leith’s written work demonstrate a thoughtful judge who knows the law and writes well.